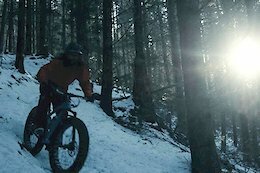 Smokey, famed for jumping over a freight train and being a freeride legend, turns his hand to fat biking in freezing cold conditions. 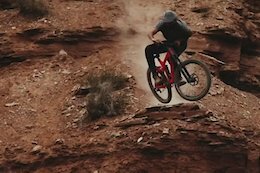 Carson Eiswald puts tires to dirt and lets rip. 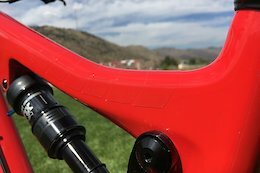 Tioga's front-specific Edge 22 doubles the amount of cornering edges. 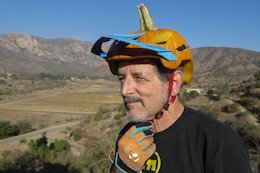 Step by step instructions on how to make a worthy cap for your Enduro Bro Halloween costume. 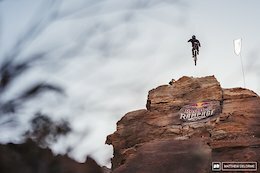 Find out who won the Boxxer World Cup for predicting the top three finishers at Red Bull Rampage. 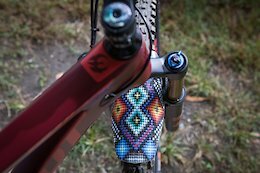 What are the defining moments of your journey to flowing on your bike? 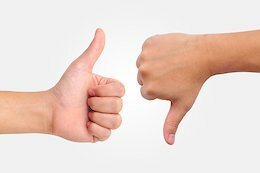 Bored with the normal options? Here are a few lesser-known gems that may or may not work well. 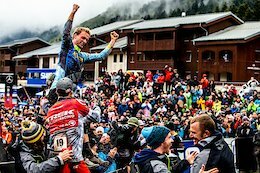 In the season finale of Spoke Tales, we see how Martin Maes has had his most successful multi-discipline race seasons to date. 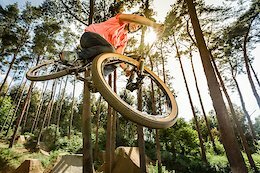 Industry Nine's Trail 270 wheelset is a solid all-around option with a high level of performance and countless options for customization. 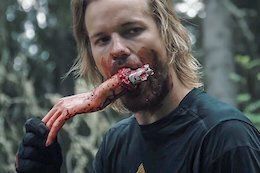 Celebrate Halloween with Makken and Lluis Lacondeguy on the Hillbilly Huckfest lines. 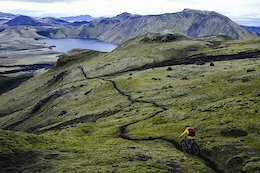 Mark Matthews rides across Iceland's strange and otherworldly land, trying to take in the country's diversity and epic nature. 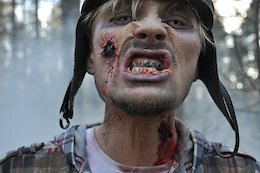 To celebrate Halloween we're throwing it back to Aaron LaRocque and Strahan Loken's zombie movie masterpiece: Strahan of the Dead. 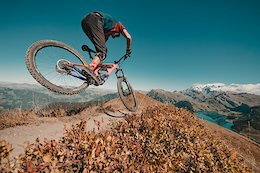 Legend has it that a mountain biker once disappeared whilst out on a ride, now emerging from a lake years later, he just wants to get back out on the bike to shred! 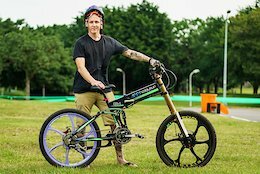 After suffering a life-changing injury, Karl Champman picked himself up and set out on a mission to get out on two wheels. Ever been to an outdoor demo held in the middle of a city of 2.6 million people? 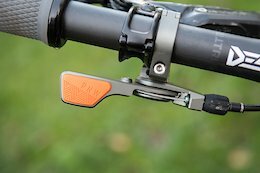 "It's like a yoga mat for your thumb..." See what we thought of PNW Components' new dropper post lever. 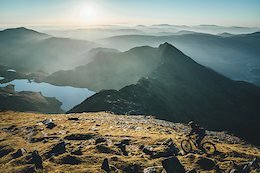 We speak to three UK-based trail advocacy groups about the importance of getting involved with local dig days, volunteering and helping the MTB scene grow. 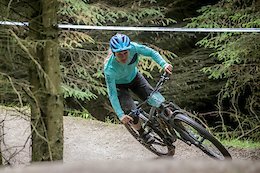 Fast Life is returning for another season, this time with a focus on Kate Courtney and Finn Iles as they enter the elite ranks of XC and DH racing. 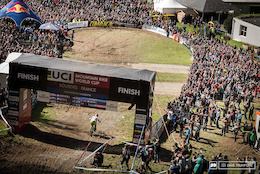 The 2019 World Cup calendar is looking hot, so what can we expect from the Maribor round? 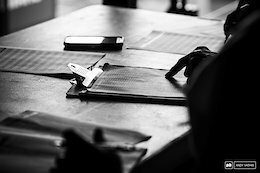 Ex-racer and UCI Technical Delegate David Vazquez shares his thoughts. 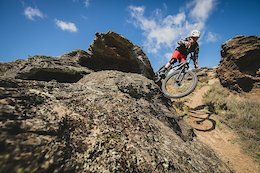 The 2019 Ard Rock Enduro Festival will take place from 2-4 August 2019 and entries go live on Wednesday 31st October at 06:30am. 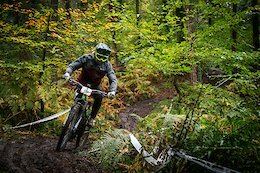 The Northern Downhill series returns to the largest man-made woodland area in England. 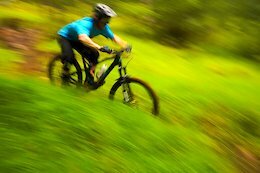 Daydreams do come true, especially if they involve getting out and ripping around on a downhill bike. 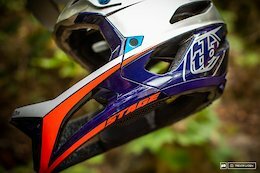 TSG's latest helmet is designed for trail riders looking for extended coverage and plenty of ventilation. 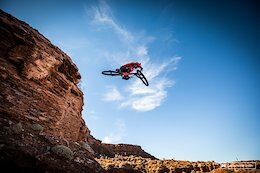 Mike Powell talks with 12 riders and personalities at this year's Red Bull Rampage. 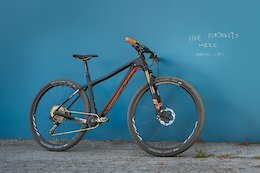 Is Orange's longest travel single-pivot 29er good enough to mix it up with the new-wave of Horst Link, VPP and multi-link bikes? We find out. 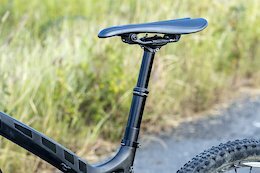 Starling's new Sturn is a steel, single-speed downhill bike with 29" wheels, 180mm travel and has two chains. Thanks to all of you generous readers, a staggering total of over $93,000 was raised for cancer awareness during the Custom Evil Wreckoning LB fundraiser. All winners listed inside. 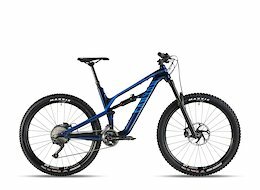 2018 model year Canyon Spectral bikes have been recalled due to frame failures. 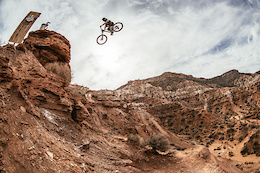 Peter Jamison captures Brett Rheeder's ride to the top at this year's Rampage. 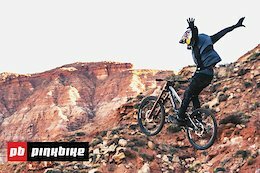 Mind-boggling drops, massive jumps, and sketchy run-ins. Don't miss this incredible photo epic. 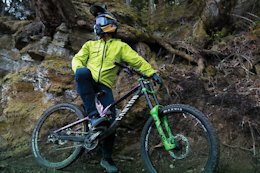 Max Fredriksson goes big on his enduro bike. 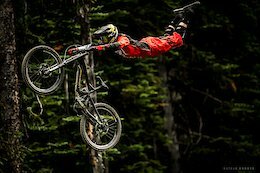 This is freeriding at its finest. 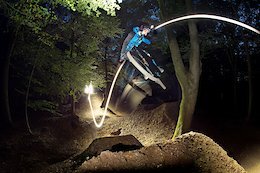 Ride along with Brendan Fairclough as he drops into his super creative (and super scary) line. At 5,856-metres above sea level, the San Jose Volcano is a sight to behold. 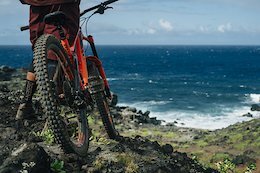 An intrepid crew of riders decided to ascend and descend the volcano for the first time ever, by bike. Don't have time to watch the whole event? 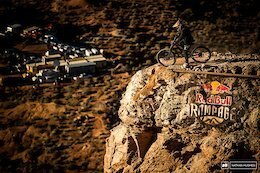 Check out the highest scoring runs from this year's Red Bull Rampage here. 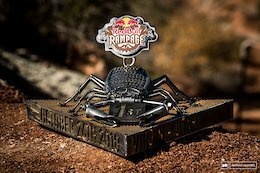 Syzmon's Rampage mission was a success - he ended up in 8th place, which means he's secured a spot in next year's even. Take a look at how it all went down. Doing a trip to Norway and especially to the Hillbilly Huckfest requires few things: Good planning, lots of friends, lots of money for expensive beers and good health insurance! 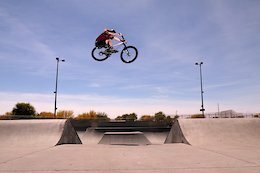 Cody Gessel shreds concrete bowls, dirt jump and some street. A breezy morning has pushed the finals back by an hour, which means there's time to catch up on the action from yesterday's practice. 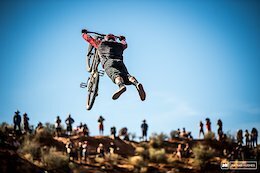 Semenuk's Session is prepped and ready for sending it at Red Bull Rampage. A taste of what's to come... Watch what happened during the last round of practice before the big show. 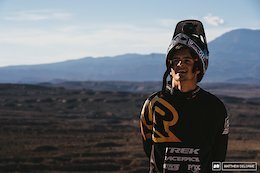 Before Carson headed down to Red Bull Rampage we caught up with him to talk about everything from injury to career path and how to manage the pressure that comes with competing in an event like this. Riders have been honing their lines and trying out their big moves in preparation for Friday's competition. 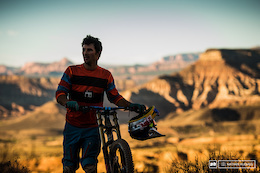 A recurring shoulder injury stops Zink's Rampage crusade. 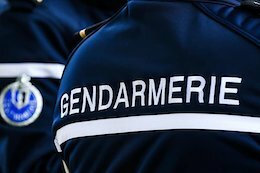 The media squids dish on whose lines are making them nervous. 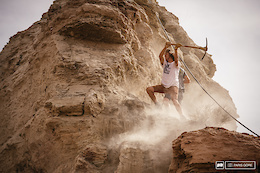 Brett Tippie takes a look at the wild new lines that have been sculpted into the Utah desert. 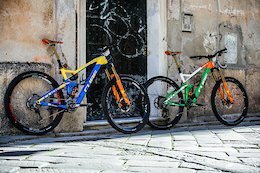 Want to win a Boxxer World Cup? 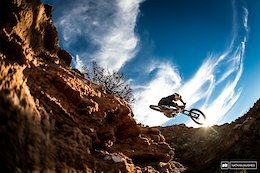 Pick the top three finishers at Red Bull Rampage and you'll be entered into a random prize draw. 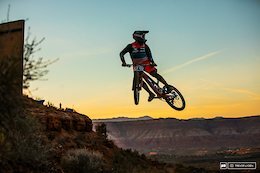 Reed Boggs showcases the style and skills that he'll need to compete in Utah. 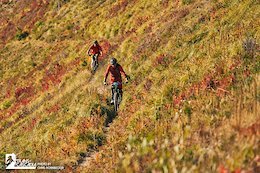 Most riders have now set wheel to earth in an attempt to abate some anxiousness about their lines, but last-minute modifications to the steep, unforgiving and rocky terrain are still taking place. 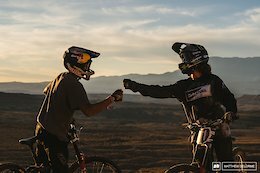 Take a behind-the-scenes look at what's going down in Virgin, Utah, as riders get ready for the big day. 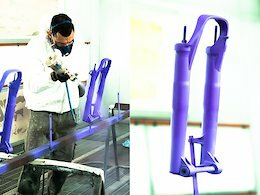 Lunn is running a custom sprayed pink to blue fade beach cruiser for Rampage. 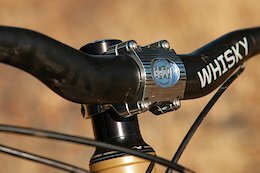 Paul Components have released their first 35mm handlebar clamp diameter stem, machined from 2024 aluminum and made in the USA. 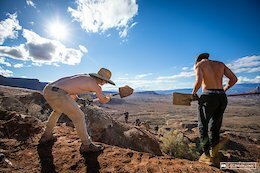 Ethan Nell, Reed Boggs, DJ Brandt, and Adolf Silva are all relative newcomers to Red Bull Rampage, but they're hoping to mix it up with the freeride veterans. 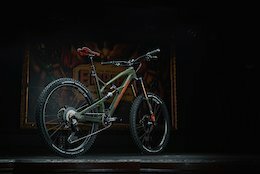 Sorge is hucking Polygon's latest Xquarone DH bike at this year's Rampage, but keeping things old-school with 26" wheels. 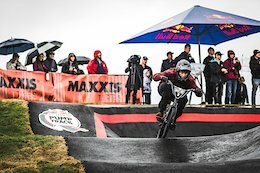 As the year draws to a close, Maxxis UK is reminiscing on a string of victories for its sponsored riders. 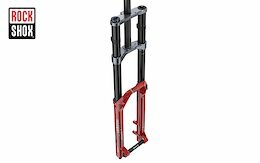 Born from the mind of Dave Weagle, Trust says that their 130mm-travel linkage fork blows away even the best modern telescoping design. What do you make of it? 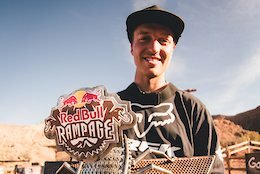 We chat with previous Rampage winner Cam Zink about his approach to a fresh venue, how he's managing his injuries, and what his goal is for Friday. 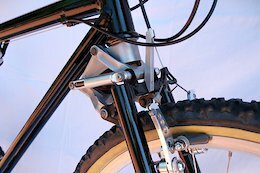 Bikes have a hard life, and it isn't always obvious that anything is wrong until it's already half apart. 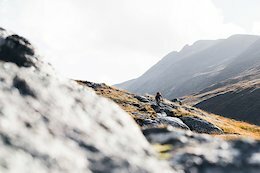 Going biking in Scotland and hoping for good weather is like rolling dice - sometimes you win, sometimes you lose and this bikepacking adventure certainly had its moments of uncertainty! Sascha Bamberg embraces the dark of the impending winter in the Northern Hemisphere. 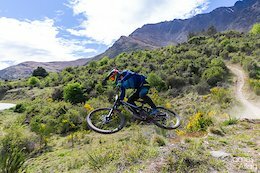 Keeping racing going during the low season means that local venues get stacked entries. 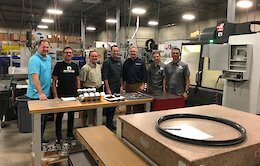 Hayes Performance Systems announced today that they purchased Reynolds Cycling LLC to expand the scope and reach of their component group. 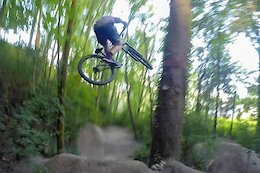 Enduro riding meets barspins, shralps & half-cabs in this Vlog from Max. The Claw hangs up his lid. 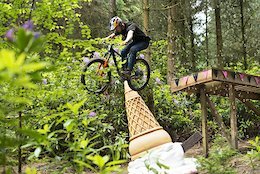 The new Rampage zone is going down a storm with the riders. 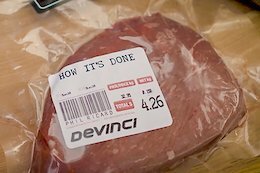 How do you like your steak? 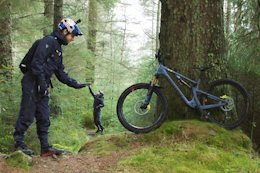 Devinci and Phil Ricard like it well done! Got your learning hat on? 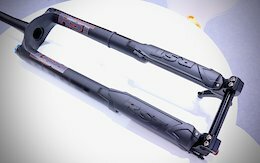 Good, because you're about to find out how Fox's clever Variable Valve Control high-speed rebound works inside their new GRIP2 damper. 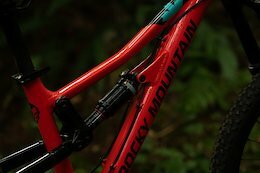 Levy takes one apart with Fox and gets schooled on how it affects the fork's performance. 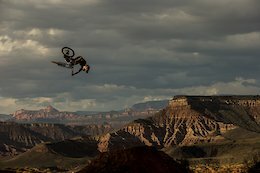 Relive the action from past years in the Utah desert. 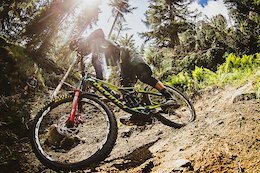 Making the move from Kross, Jolanda Neff joins Emily Batty on the Trek team. 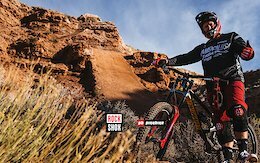 Take a look at the bike of Rampage legend Kyle Strait. 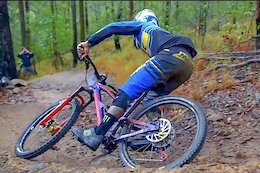 Two years after a life-altering spinal cord injury, Ryan St. Lawrence has got back on two wheels on a customised Santa Cruz V10. 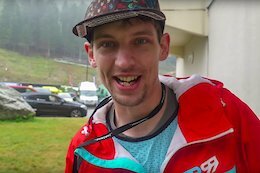 Join Szymon for the second day of digging, picking lines and teaming up with heavy hitters. 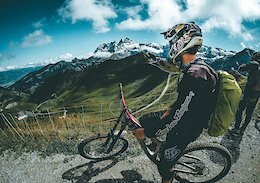 Learn how to control your breathing to help you manage your energy more effectively on the bike. 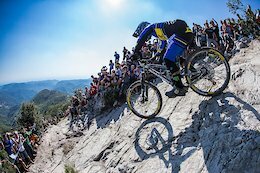 Find out what happened at the Shimano Enduro Argentina. 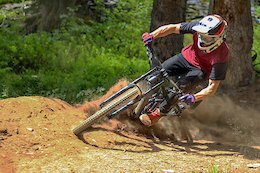 Gaetan Riou heads to Annecy to meet up with shoe-maker Only Whats Necessary and ride some of the steepest trails on offer. the last race took place in Treuchtlingen, a town situated in Bavarian countryside with beautiful hills around which hosted the event. Autumn was in full swing with its colours and the weather was spectacular, blue skies for both days. 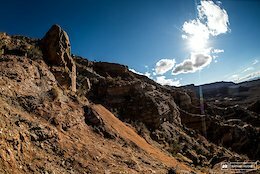 The Claw takes a walk around the new Rampage course to see how the line building is progressing. 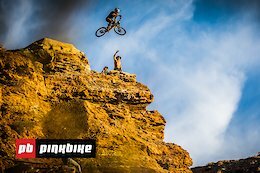 A new location for 2018's Rampage has sparked the imaginations of riders who're in the process of creating some unique, individual and shared lines with fellow competitors. 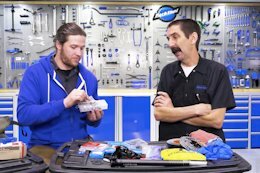 Michelin's best kept secret, settling the tire-pressure debate & please don't call it a fanny pack. Weekend Slayer visits The North Shore to ride some of the best spots with a bunch of good friends. 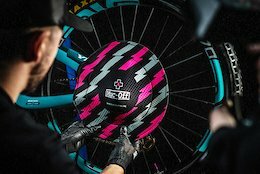 Keep those rotors safe from contamination with Muc-Off's new Disc Covers. 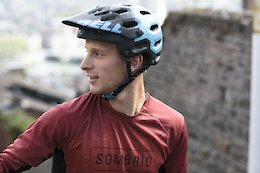 In search of a new half shell trail helmet? 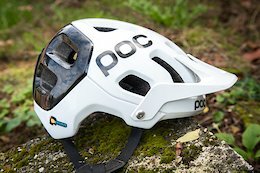 POC's Tectal Race SPIN deserves a look. 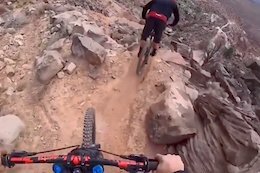 Aaron Gwin hops aboard YT's Capra on his local trails. 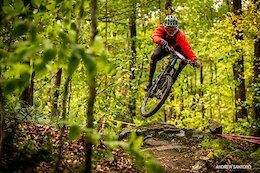 The Eastern States Cup enduro race season wrapped up in Charlemont, Massachusetts. 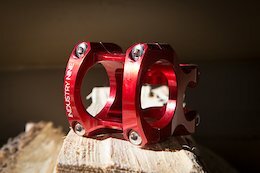 Industry Nine is no longer just a wheel company with the introduction of their new 35mm stem. 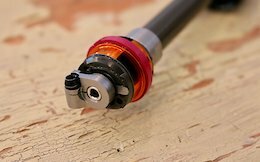 BikeYoke's new Divine SL dropper post comes in under 400g with the potential to shave even more weight when it's cut. 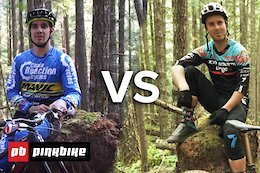 It's Matt Jones against the evil puncture clown, but who'll win? 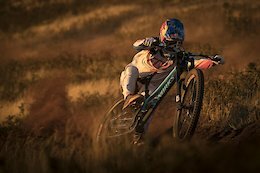 The Downtime podcast chat to Reece about how he got into the sport, his progression to the top level, his 2018 season, Red Bull Hardline and much more, including why it’s easier to whip on a 29er, and Eddie Masters' approach to world travel! 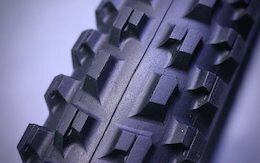 Jordie Lunn, Vinnie T, and DJ Brandt will all be running Vee tires at Rampage. 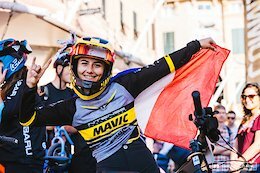 Take a unique behind the scenes look at Team CRC-Mavic's phone pictures from the final two rounds of the EWS series. 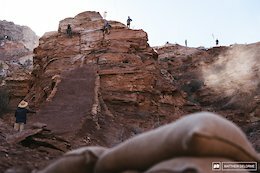 Sandbags are being stacked and sandstone is being smashed as riders and their dig crews prep for the big event. Is A Slice of Ariégoise Pie France's answer to A Slice of British Pie? 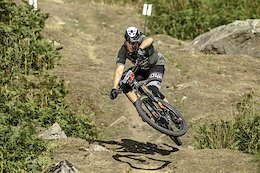 The first DH race for the Queenstown summer saw a lineup of locals and newcomers putting it all on the line in dry, dusty, hot conditions. 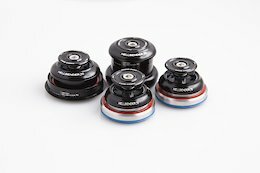 How good can 100mm of travel actually be? 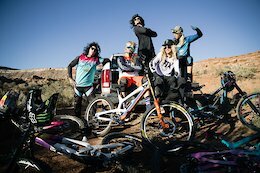 YT has a crew of heavy hitters assembled in the Utah desert for Red Bull Rampage. 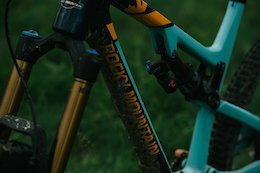 Take a look at the bikes of Andreu Lacondeguy, Cam Zink, Ethan Nell, Jordie Lunn, and Adolf Silva. 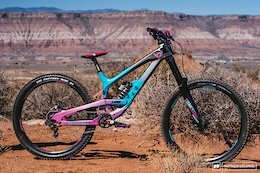 Carson Storch's Rampage bike has a paint job inspired by a WWII bomber. 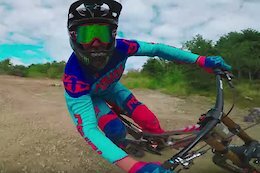 Tom Wrigley takes one run through his local dirt jump set and throws down some awesome flow. 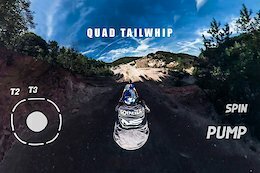 Kilian Bron combines FPV drones with a GoPro Hero 6 and GoPro Fusion to get some stunning and novel angles. 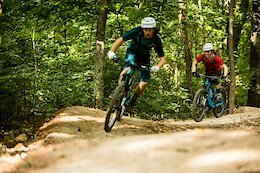 Coler Mountain Bike Preserve adds miles of diversity to the region’s expanding trail system. 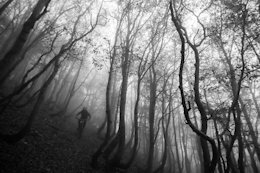 Now in his 50's, Ian Robertson returns to tame the Trans-Provence race after sampling its gruelling route some 5 years earlier. 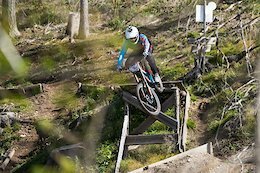 MTB Beds went about making the most of Finale Ligure with camps from Point1 Athletic, Ben Deakin and Sandra Boerner there is a camp for everyone, be it your weekend warrior looking to sharpen up their skills to the privateer looking to shave those precious seconds at the EWS. 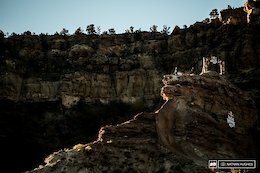 As the last race of the season, everyone was excited to meet the new champions or anxious to chill and drink some beers after a day struggling on the bike. 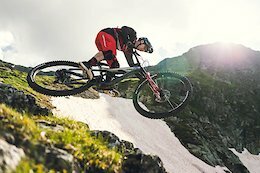 With only 36-hours to get there and back, the crew had the joy of riding plenty of EWS-tested single track as fast as they could. 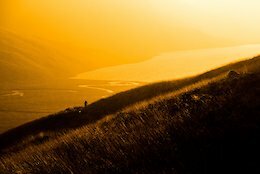 The beauty of Wales' highest mountain, Snowdon, is best appreciated at dawn. 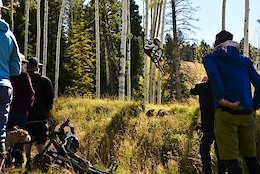 Downtime Podcast talks to Nick Grantham about how he got involved with Atherton Racing, injury prevention, recovery, key aspects of mountain bike training, and his view on the future of physical preparation for downhill mountain biking. 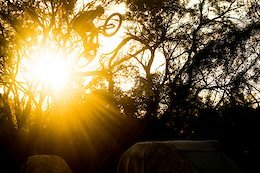 Titled Ride Life Romance, Lukas Knopf's latest edit is about balancing his ride life with his personal life - and specifically, dating. 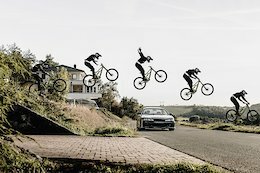 5 years after his last video edit and with little to no time on a bike since he is now back in front of the lens drifting his legendary 1994 Peugeot 106 and brand-new Propain Spindrift. 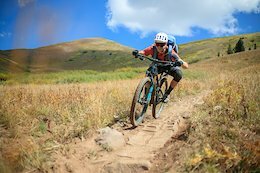 Learn how to pick the best affordable trail bike & find out which of the first four in this continuing series came out on top. 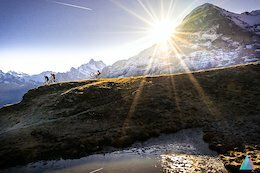 Even if the weather is getting colder & the trails will soon be covered in snow don't let that put you off. Ben Byerz rips through the park with endless amounts of style. 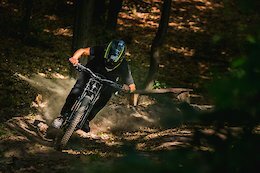 Szymon is on a mission with Marcin Rot and Aleksander Osmałek to start digging and create a line that will hopefully let him unveil his freeride potential. 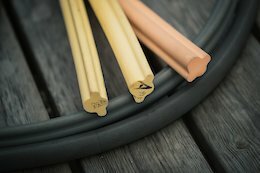 The new Selva R has a massive range of tuning options, including the ability to independently alter the air pressure in the positive or negative air chamber. 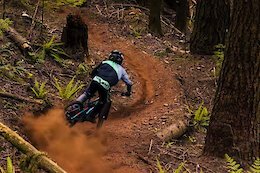 Ian Webster, Zach Zinter, Adam Smokewell, and Jason Eiswald riding through the transition from summer to fall in the Pacific Northwest. 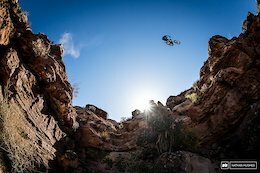 The Bootleg Canyon Gravity & Demo Fest will once again take over the Bootleg Canyon Mountain Bike Park in Boulder City, Nevada, on November 16-18, 2018. 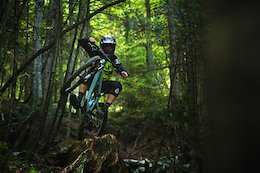 The rainy season is coming and the hero dirt in Squamish is about to get greasy. 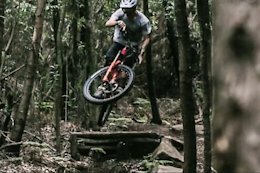 Check out local boy Remi Gauvin ripping in the rainforest. 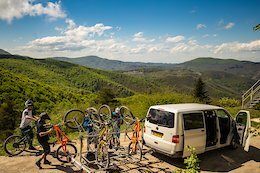 Meeting locals and riding lesser-known destinations, the Zam crew loved their time in Eastern Europe. 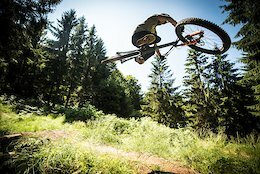 Riding the all new Ransom, Rémy Absalon and Elliot Trabac enjoy some 'time off' in Les Vosges, France. 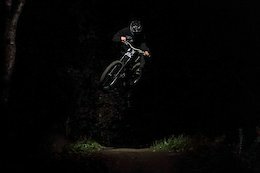 With no filming in sunny weather, this short but moody video casts a different light on riding edits. 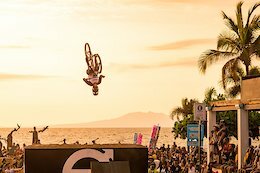 Check out some of Olivier Cuvet's best moments from 2018. 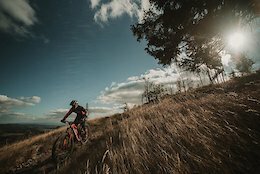 For the second year running the PMBA Enduro Series has been the crew behind the Hopetech Women’s Enduro. 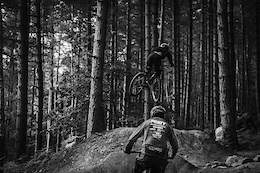 After a late start Liam Moynihan & Jamesy Boy head out into the woods to slap some good old Scottish ruts. 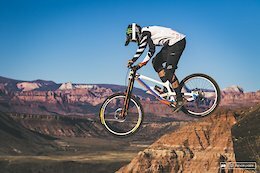 It's time for another trip in the time machine, to the era of Sam Hill and his Iron Horse Sunday. 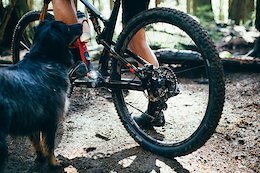 Race Face's new wheelset is aimed at cross-country or trail riders and are trail dog approved. The #fcancerup fundraiser is back! 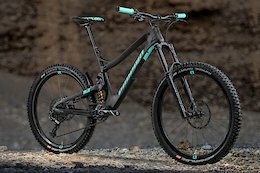 Help give cancer the boot and you could win this blinged out Evil Wreckoning with goods from Shimano, Enve, Fox, and more. 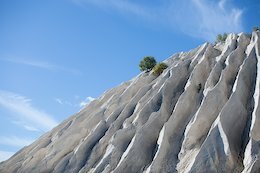 Jerome Clementz discovers why Bulgaria is an unexpected treasure. 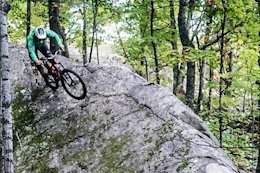 Ebbett was a fixture of the mountain bike scene in Vermont and beyond. 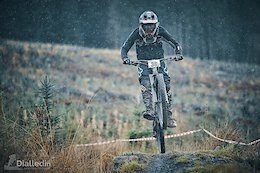 Fort William's Louise Ferguson is a mild-mannered shredder that lets her riding do the talking. 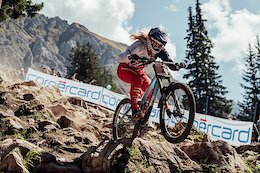 The long-term partnership secures coverage for the 2019 through to the 2021 racing seasons for DH and XCO World Cup races. 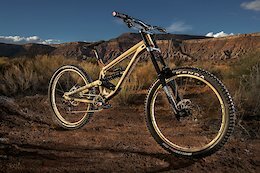 Take a look at the details of Nukeproof's latest models, including the EWS-winning Mega 275c. 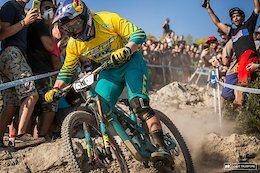 Fresh off his EWS series win Sam Hill takes a trip to the Gold Coast to compete in the first round of the National Shimano Enduro Series. 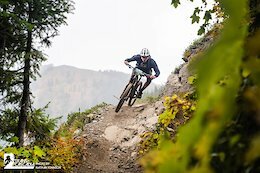 Last weekend racers convened on top of Mt Spokane for Velo Northwest's two-day race event, capping off another riding season in the inland northwest. 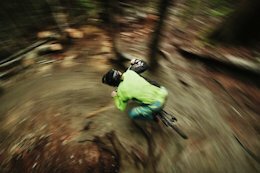 For this top to bottom we head to our hometown of Squamish, with local Norco Factory Racing rider Henry Fitzgerald. 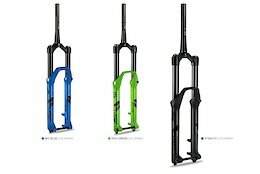 The new Hellbender splits the difference between Cane Creek's 40 series and 110 series headsets. 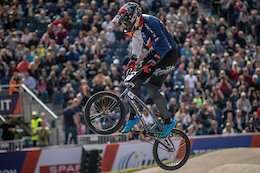 GT Bicycles just announced that Martin Maes will be riding for them again in 2019, so we sent the Belgian a couple questions to find out what he's got planned for the upcoming season. 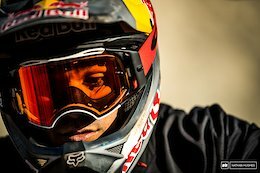 The Stage is the lightest DH-certified full face helmet on the market. 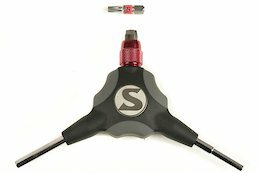 Silca claim they've re-imagined the Y-tool with their new Ypsilon. 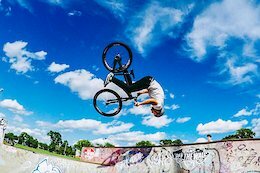 The weather for the 2018 Gravity Games could not have been any better! 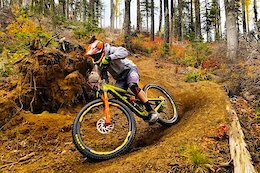 Light snowfall earlier in the week set Angel Fire Bike Park up with some much-needed moisture. 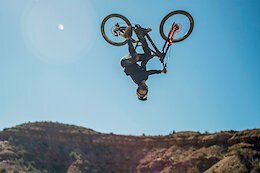 Cam Zink's Rampage could be over before it has even really begun after suffering from a dislocated shoulder whilst going off a drop. 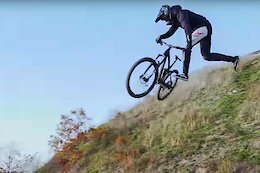 Pacôme is a 19-year-old French shredder from Annecy. 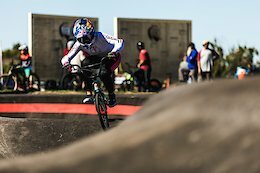 David Graf and Christa Von Niederhaeusern are the first ever Red Bull Pump Track World champions. 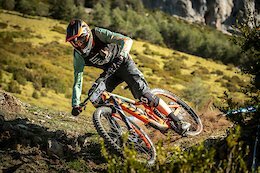 Martin Maes will remain on the GT squad for the next three seasons, racing both enduro and downhill. 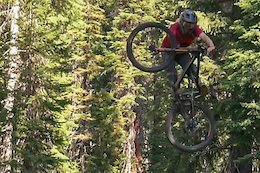 Jason Blodgett ain't scared of a bit of seat post! 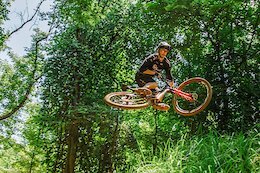 The inaugural Delta Dirt Jam in Clarksburg, California went down and the objective of this event was to rekindle the old flame of mountain bike dirt jump events. 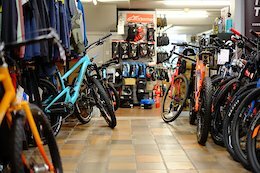 Kevin Walsh, owner of Evil Bikes, discusses his East Coast roots, how he got into playing blues music and the thrill of racing rally cars. 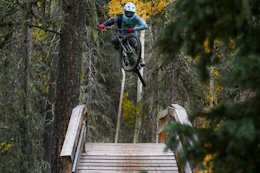 Tacky dirt and beautiful fall colours for one of Remy Metailler's last rides of the season in the Whistler Bike Park. 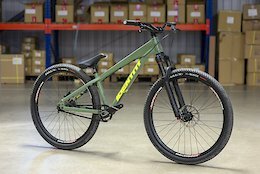 Identiti have been making dirt jump frames for 20 years - check out their latest creation. 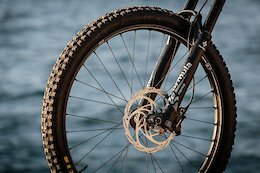 Horst Leitner - the man behind the "Horst Link" - made the first production dual-suspension bike to bring the fight to the elite cross-country hardtail crowd. There is so much personality behind the name and so many reasons to love it. 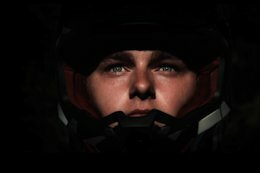 Get a look behind the racer and rider in this beautifully-shot edit. 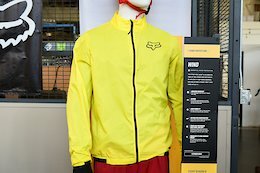 See what made it into this month's Check Out, including fenders from Ground Keeper, a wet weather onesie and shorts, a Sombrio women's jersey, and more. 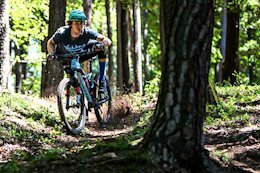 A muddy battle took place at the final Eastern States Cup DH race of the season. 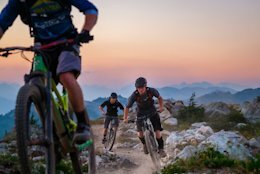 Taking road tripping to the next level, the two brothers started in Cancun, Mexico and rode North all the way to Whistler Bike Park. The main difference about this road trip; they're doing it entirely under their power! KC decides to take his talents to the most famous big wave in the world, Jaws but he quickly discovers that his swell chasing skills are a little off. Luckily, there are a few trails on the Valley Isle to salvage his extreme seeking vacation. 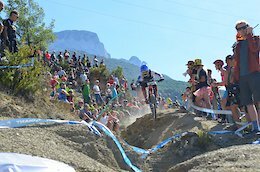 Ben Cathro takes the win for the men while Junior EWS Champion Ella Connolly wins the women's race. As the rain poured down, riders headed out to tackle four of The Forest of Dean's finest stages. 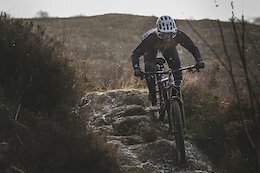 The challenging conditions added to the day with riders braving mud and slippy terrain, all hoping to get onto the podium. 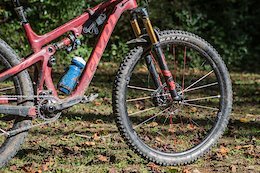 With 29" wheels and 140mm of rear travel the new Troy has plenty of competition - how does it stack up? 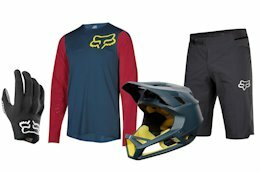 Fox's latest apparel collection is designed to keep riders warm and dry, no matter the conditions. 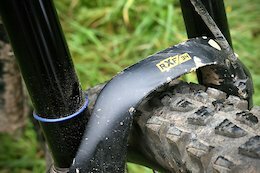 Ten years ago, mountain bikers thought the inner-tube was dead and buried. Now, Tannus and Vittoria have resurrected the devil and given it super powers. 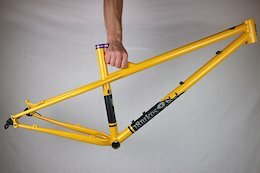 The Hijinx kit complements Uplnd Stoke’s other line of premium bike model-specific protection, the Antik. 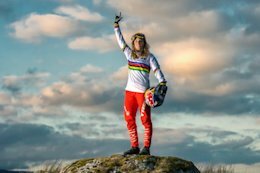 Get the lowdown on the latest issue of Shredder MTB Zine including features on Rachel Atherton, The Dusty Huckers, James McKnight, Brage Vestavik and more. 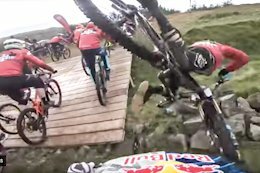 Relive the last DH World Cup race of the season with Ben Cathro's final Cathrovision. Date and venue are set for the California Premiere on Wednesday, November 7th in Carlsbad, California. 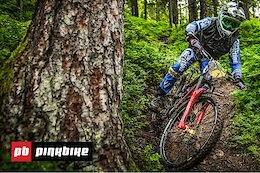 Heading into Finale Ligure with a precarious hold on second overall, it all came down to Finale Ligure for the Ibis Enduro Team. 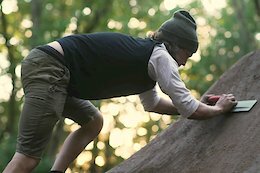 IFHT Films tell us how, so get your wallets at the ready. 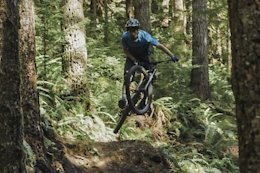 Demetri Triantafillou sends it down some of the Pacific Northwest's best trails. 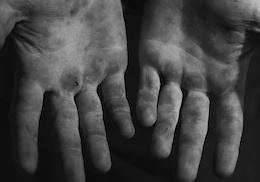 Kona's looking for some out-of-box advocates and athletes from around the world to join them. 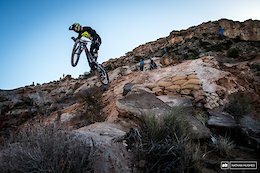 YT has supported many riders competing in Rampage and every year their athlete list for grows. 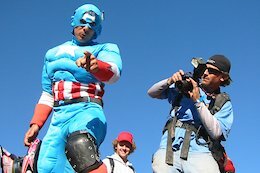 As this year's event is rapidly approaching, check their history at Rampage. 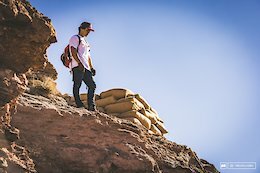 Both Aggy and Bas are headed to Virgin, Utah to build what they can only hope will be a winning line. 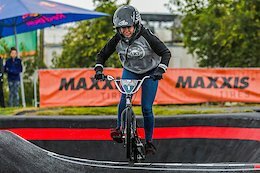 As the best riders in the world descended upon the Jones Center in Springdale, Arkansas, riders laid it on the line in the Last Chance Qualifier to secure their place at the Red Bull Pump Track World Championship Final. 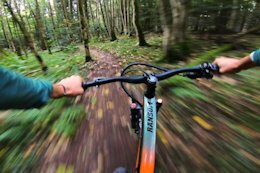 Calum McBain and Shaun Sangster make hay whilst the sun shines, hitting Aberdeenshire's dusty trails. 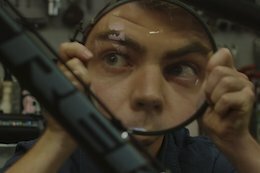 Looking for nothing but a laugh, stomping nothing but bangers; Aidan Horn is back at it with another video guaranteed to make you second guess your understanding of physics. 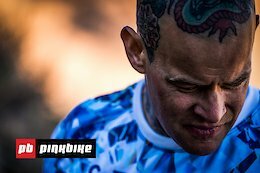 We caught up with former pro mountain bike Nick Geddes to find out more about what it was like to go through cancer, and what he's up to now. 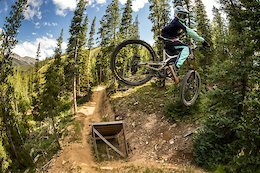 Check out this POV comparison of the runs that Sam Hill and Remi Gauvin laid down for Pinkbike's Hot Laps. 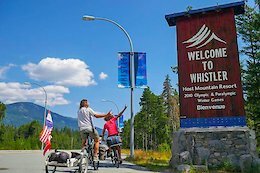 Even outside the bike park, Whistler trails are busy, but not when you go on an overnight excursion! 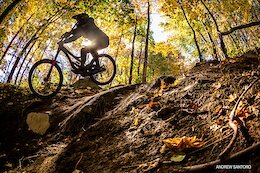 Follow along with Andrew Taylor as he finds some of the best riding around the Great Lakes. Gossip and guesses on who's going where for the 2019 racing season. 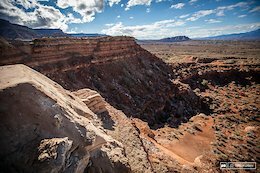 Check out where the 2018 Red Bull Rampage is going to go down! 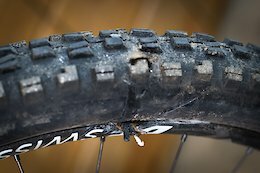 Pinkbike Poll: How Often Do You Replace Your Tires? 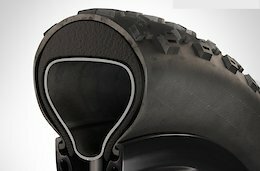 Do you toss your tires when they're only slightly worn, or do you run them until they're completely bald? 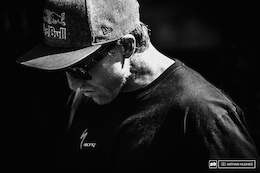 The Godfather of Freeride shows the young gun the ropes. Although things didn't go to plan for Geoff, he still had a cracking weekend at the Arkansas race. 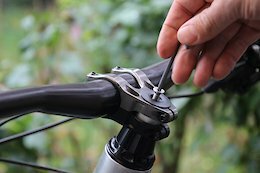 Opinion: Why Have Bike Makers Ignored this Grassroots Fix? 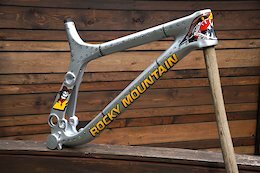 Riders have been protecting the vulnerable areas of their frames with transparent products for years. It's time for the big brands to step up. 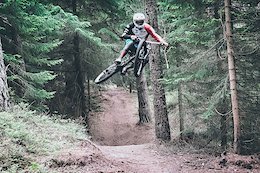 From the Scottish steeps of Glentress to Chatel's massive jumps and Wales' thriving bike parks, Joey Gough sends it high and long! 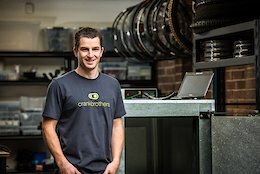 Jason Schiers, and Mello Bouwmeester, the guys behind the development of Crankbrothers new Synthesis wheelset, join Chris Hall for an in-depth chat on the Downtime Podcast. 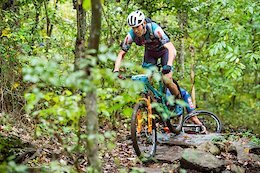 There have been qualifiers all around the world, and now it will come down to one race in Arkansas. 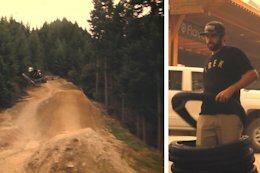 Chris Kovarik teaches the next generation how to get that extra edge on the race track and having fun in the bike park. 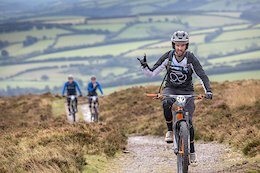 Three big, tough and brilliant days of Exmoor mountain biking on some of the UK's least known and least ridden trails typifies the EX Enduro. 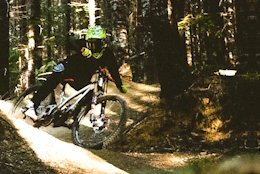 Propain hopes that changes to their Tyee bikes will make them even more capable than before. 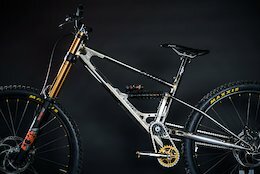 UK budget brand launches the £550 dirt jump bike called the Astronut. 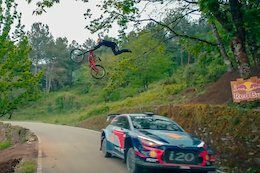 Freeride Madeira and Loic Bruni collaborated on this custom track with gorgeous views high above the capital of Funchal. It will put you back about a euro per gram at 99,95€. 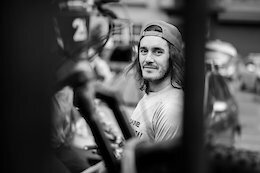 This time we have legend Sam Hill to take on the challenge and post a time for the Pinkbike Hot Lap. 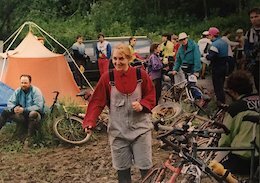 Photographers, athletes, & friends pay tribute to the founder of Roach Clothing—a woman who changed MTB apparel forever. 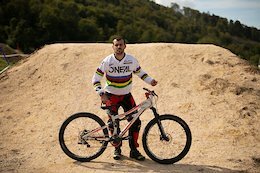 Lucio Rivas is an Argentinian born Queenstown local and he has an obsession with vintage GT mountain bikes - he's collected around 40 old-school models. 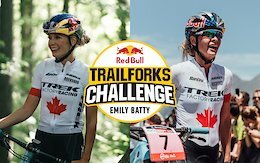 Find out who will be winning an all-expenses-paid trip to the 2019 UCI World Championships in Mont-Sainte-Anne, Quebec after winning the Emily Batty Challenge. 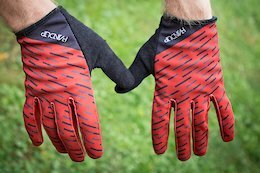 Handup Gloves are where function meets fashion at a reasonable price. 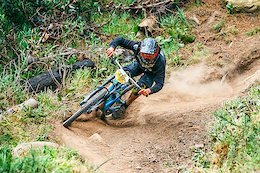 After a season of racing dry, loose tracks, riders welcomed the grip that Ashland’s decomposed granite terrain provided for the final race of the season. 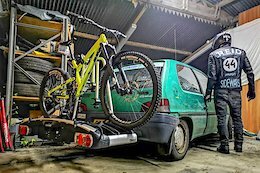 Who can get down to the bottom of Lousa's famous mountain quicker - an MTB or a car? 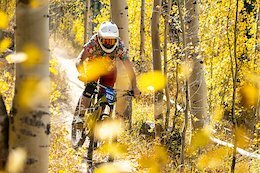 Spicy all-in format on a natural Dual Slalom course. 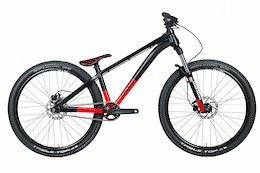 With 24", 26", and 27.5" versions, the Reaper is an aggressive trail bike designed for young rippers. 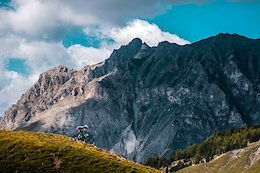 The central Bernese mountains of Switzerland are a lesser-known riding dream. 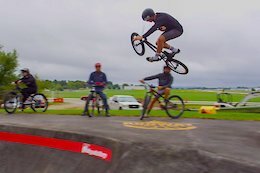 It's the final countdown to the Red Bull Pump Track World Championship World Final this coming weekend - get a behind the scenes look at the unique course at the Jones Center with course designer Claudio Caluori. 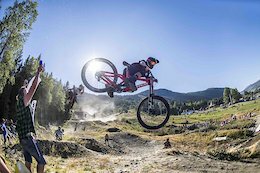 The Evo Bike Park held its second Evo Jam this year and the program was simple: shred with friends, barbecue food and listen to music. 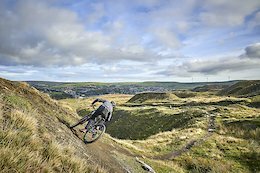 The fifth and final race in the 2018 PMBA Enduro Series happened at Lee Quarry and Havok Bike Park with a massive 2-day event that saw well over 200 riders descending upon Bacup, a town known for its characteristic mills and sitting in the stunning Rossendale valley. The aim of the game... overtake as many of the 550 riders as they can. 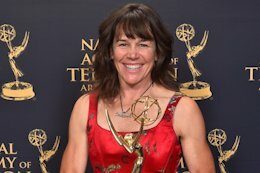 We ask Rebecca Rusch what it means for her to win an Emmy Award for Blood Road, how it compares to her World Championship and other athletic wins, and what she's got planned next. 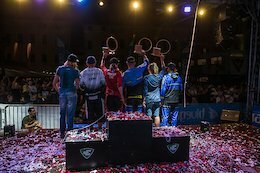 Farek Rasouli from Rasolution will be Erik Fedko's new manager as Erik pushes for the Slopestyle World Championship Overall Title. 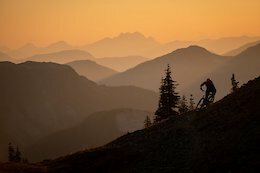 Smoke wreaks havoc on Reuben Krabbe, Stu Dickson and Marty Lazarski's ambitious plan to circumnavigate the Southern Canadian Rockies, but they make the absolute best of it. 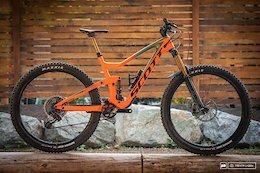 We take Scott's new long travel 29er enduro race bike out for some laps on Whistler's gnarly terrain. 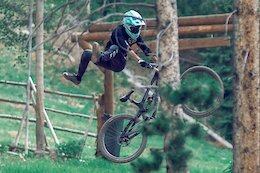 It's almost closing weekend at Angel Fire Bike Park, but first, Gravity Games and the Fire 5: Race 5 finale. 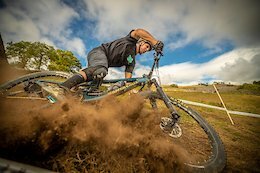 It was a battle to gain traction on the loose, rutted course for the final round of the RedAss State Series at Greenvalleys Bike Park, Tongarra. 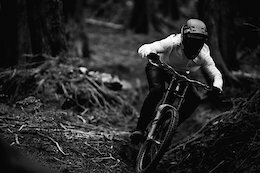 Britney White puts in some hot laps on her downhill bike in Deity's latest production, 'Sidetrack'. 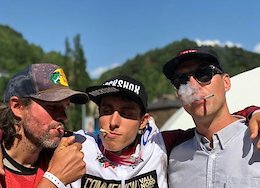 GT's athletes get together for some racing and fun times at the Fox US Open of Mountain Biking in Killington, Vermont. 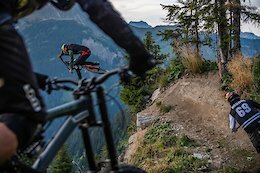 Canyon gaps and double drops... Marshall Mullen rides down (and up!) 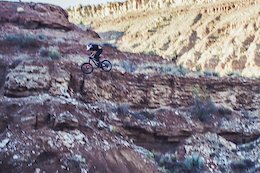 the original Rampage site in Virgin, Utah, on an an eMTB. 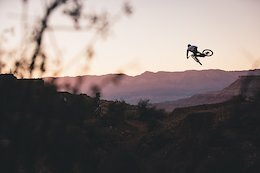 Take a trip over to the wilderness of Interior BC for an insane day-in-the-life with the Fest series co-founder and three-time Redbull Rampage winner. 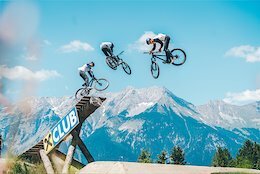 The highs and lows from a thrilling 2018 Crankworx season. 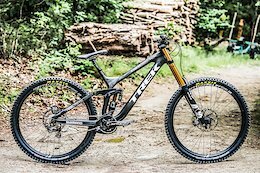 The Switch9er FS gets an initial shakedown in the Alps before entering full production. 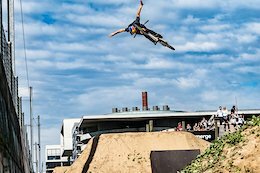 It was a tight battle between Thomas Genon and local hero Lucas Huppert at the Züritrails Dirt Jump Contest. 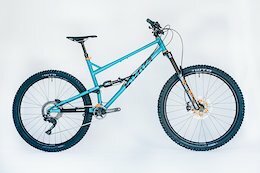 Improvements and new colours for fall 2018. 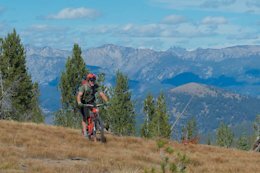 A passionate advocate for Montana's Bitterroot Valley trails explains exactly how you can get through bureaucracy and get your comment read. 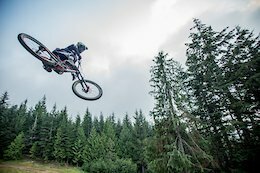 Matthew Griffith goes as big as ever despite the rain on closing weekend in the Whistler Bike Park. 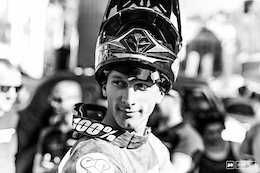 Kirill Churbanov had a bad crash while riding on his home trails close to Moscow. His friends have set up a GoFundMe campaign to help with his recovery. 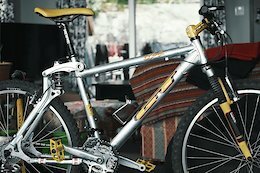 The original Habit was one of the first lightweight, medium-travel XC bikes with capable trail geometry. The new Habit takes the concept to a new level. 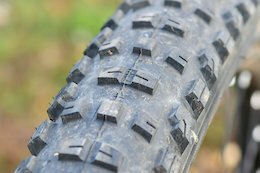 We put Bontrager's 2.6" SE4 tires to the test. 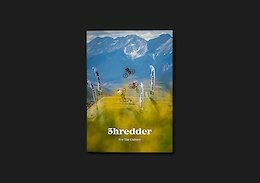 The game's developer has created Shred! 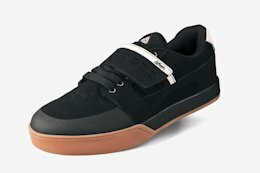 2 with the goal of having it be a Pumped BMX meets Tony Hawk. 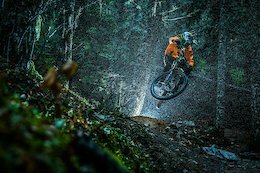 Danny MacAskill tests out Endura's new foul-weather onesie in the muddiest, slipperiest, wettest conditions imagine. 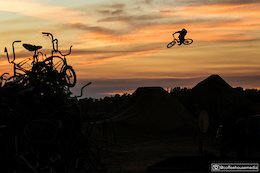 After 5 rounds of Dirt Jump madness, it was time for the final round of the series on the huge course at Freddy’s Yard in Devon. 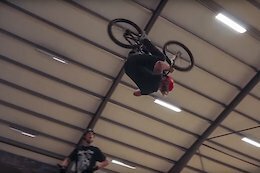 To spice up Max’s usual skatepark session, he brought together some of Sweden's best riders to do a little bit of a jam, including Emil Johansson, Alex Alanko and Olle Lundahl. 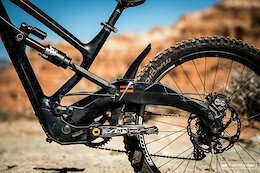 One of the most successful, recognizable silhouettes on the DH circuit now comes with wagon wheels. 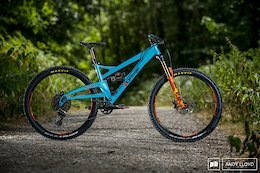 So how does it compare to the newest crop of DH bikes? 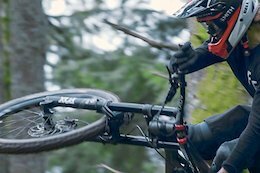 Lucas Recasens hits some of Whistler's biggest lines. 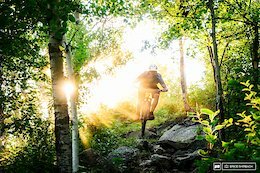 No matter where you are in Duluth, Minnesota, you're never further than a mile from the trails. Brice Shirbach talks to the people who are shaping this brilliant community. 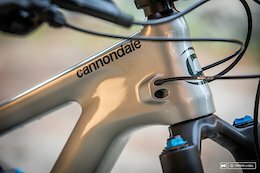 Podcast: What Does it Take to Build a Bike Frame From Scratch? 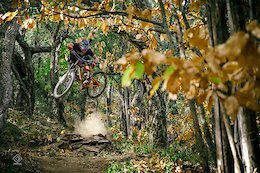 This edit celebrates the end of an era when the bike shop Back Country in the French Riviera recently closed. 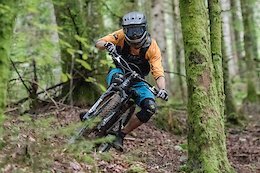 With their oldest member only 16, the SSLB crew from South Wales epitomises how vibrant, diverse and dedicated the riding scene is in the area. 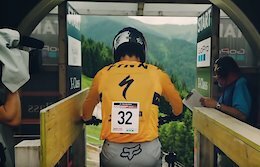 Watch the action from the IXS DH Cup in Bellwald, Switzerland. We reached out to Reece Wallace, whose Huck Cancer fundraiser we shared in April, to find out how cancer has affected his daily life. In the third episode of 'Behind Two Puzzlers', join Jordi Cortes from FOX and Loris Vergier to learn the difference between air and water molecules, why Loris stores his V10 upside down, and how to properly pronounce lubrification. 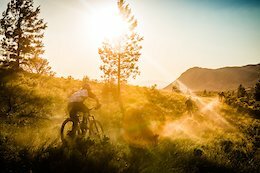 Love it or hate it, social media has opened up the world of mountain biking. But among all the #influencers, brands, and athletes are some ultra-weird accounts. These are our favourites. After hours of training spent looking for the perfect line, the fastest one, sometimes you have to start again from scratch in a race run and adapt to a new scenario. 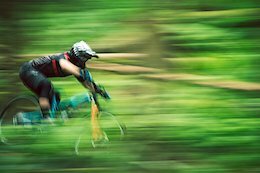 Phil Atwill shares his thoughts on how to be lightning quick at making those changes. 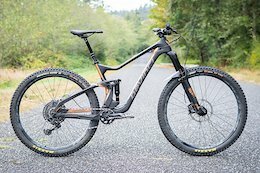 A shocking number of 2019 bikes were stolen from Rocky Mountain's warehouse in Vancouver on Monday night. 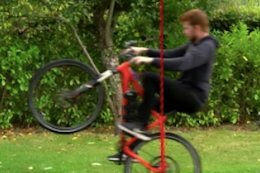 Is This Wheelie Cheat Device the Best or Worst Idea Ever? 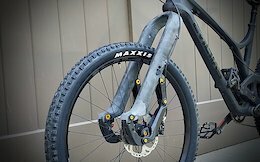 Aerospace engineering student Tom Stanton built a device that automatically applies your brake when you're about to loop out doing a wheelie. 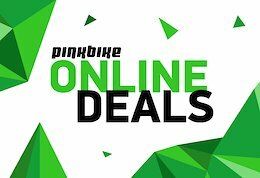 Tires, bikes, shoes, and more in this month's Online Deals. 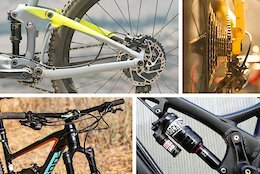 A monthly round-up of the latest tech - including gear from GoPro, Devinci, Ibis, Pace, and more! 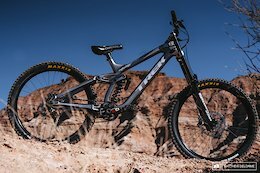 Cotic's new RocketMAX has big wheels, 150mm of rear travel, and a Reynolds 853 steel frame. 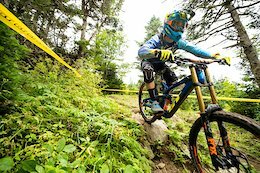 The best of Sundays in Châtel compiles all of the banging moments from this summer's series. 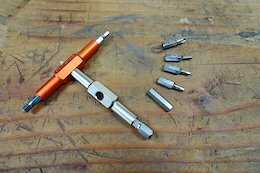 Fix It's rider-favorite mini-tool is now five times better with the addition of replaceable tool bits. 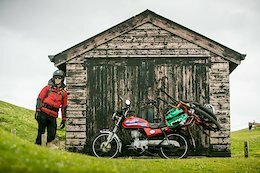 The Trippin' Fellas strap their mountain bikes on the back of their £500 125cc motos and head out on a coastal adventure. 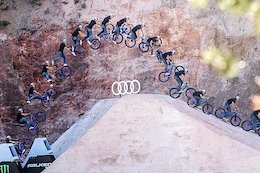 Klaus Polzer, Markus Fischer & Florian Breitenberger come up with the goods in this sequence photo epic from the Audi Nines. 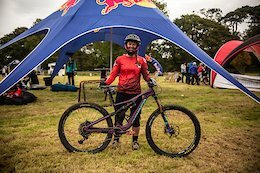 Rachel Atherton welcomed 200 female mountain bikers to her hometown for the 5th Red Bull Foxhunt. New bike, but still just as smooth. 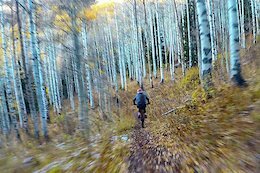 The aspens put on a show for the 4th annual Outlier Offroad Festival's Rockshox Enduro. 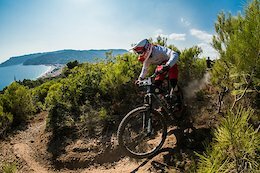 Round 5 of the EWS was another tough race in a beautiful location. 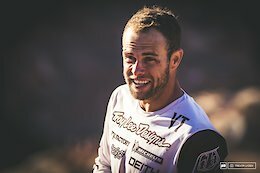 Privateer racer Richard Payne gave it his all! 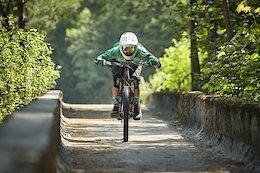 Find out who will be receiving a prize pack from Fox Racing after their predictions of the men and women's races at last weekend's Enduro World Series event in Finale Ligure, Italy. 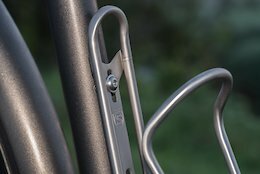 Silca introduces a 29g, $70 Ti bottle cage with a 25-year warranty. 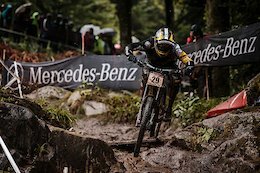 Check out all the action from Team CRC Mavic at the last two rounds of the 2018 Enduro World Series, where Sam Hill was crowned the champion for the second year in a row, and Elliott Heap won the under-21 category. 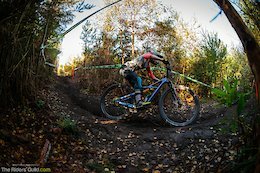 Rachel Atherton raced her trail bike, as did most of the ladies at the event. 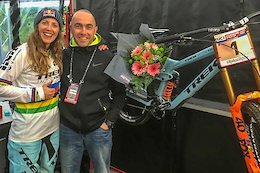 Chris Kilmurray, coach to riders like Tahnee Seagrave, Greg Callaghan, Greg Williamson and others, chimes in on how he thinks the 2019 UCI MTB rule changes are going to affect next year's racing. 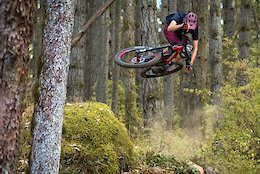 Freeskier Sage Cattabriga-Alosa drops in right behind Greg Minnaar, Spencer Paxson and Matthew Slaven during the Trans-Cascadia. 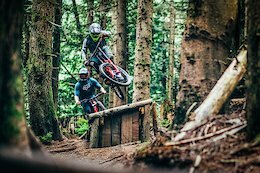 Commencal is recruiting for their Junior Cartel Program - do you have what it takes to be the next superstar? 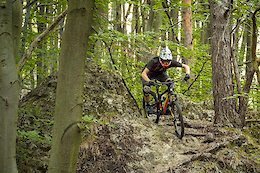 The Austrian Gravity Series is in its second season and sticks to the ingredients that make downhill races fun for everyone: one-day events, rideable tracks and a laid-back atmosphere. 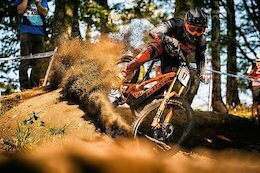 The season finale in Mieroszów was declared one of the most demanding enduro competitions in history, so the recovery time will be fully deserved. 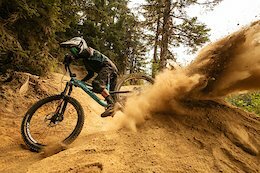 After the heat of summer, autumn's tacky dirt and tolerable temps make it the perfect time to send. 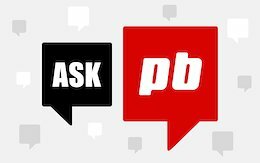 Pinbike's tech editors answer some of your most pressing forum questions. 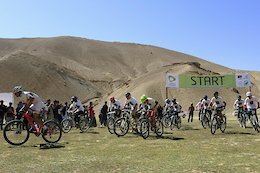 Afghanistan first XCO-style off-road bike race wowed crowds and sewed the seed for future generations of bikers. 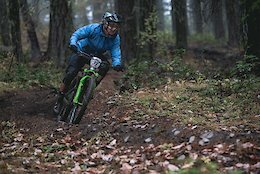 Loris Vergier and Emily Slaco won the Pro categories, but the Trans-Cascadia is about a lot more than just who's fastest. 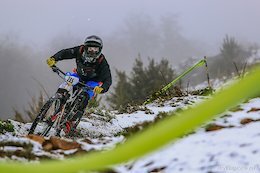 The amended rulebook allows for the inclusion of enduro, pump track racing and alpine snow bike competitions, an exemption for eMTB 'mechanic doping', permitted mismatched wheel sizes, reverting back to the old finals start order system. Is the M820 worthy of bearing the Saint name? 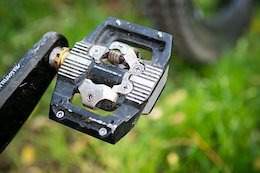 We put these burly clipless pedals to the test. 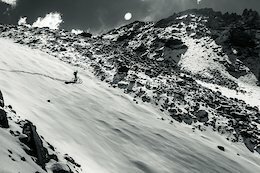 Two brothers from Mexico travel to Colorado to create this short but epic mini feature film. 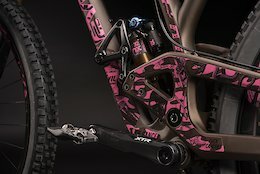 DVO releases all the details about their upcoming 2019 line of forks and shocks. 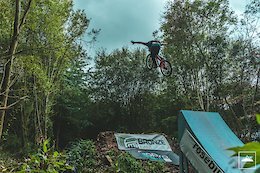 Jump onboard with the lads as they tackle the specially-built track for Gamble film in their hometown, Sheffield, UK. 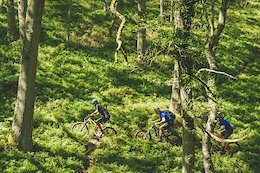 The Quantocks offer mountain bikers a magnificent variety of terrain to ride, from scenic tracks up high on the heath to flowing downhills in the deep forests of the combes. 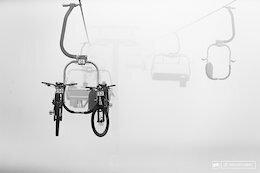 Famed for its epic winter off-piste and bottomless powder days, Chamonix also has a dryer and browner side to its powder days. 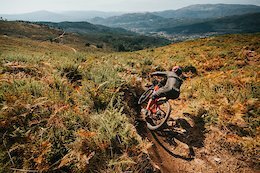 Diogo Silva pins it down Impossible Trail in Portugal, and throws in some tricks for good measure. 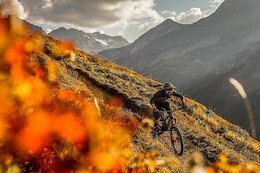 Check out all the action from this year's unique 2-up enduro race in the massive mountains near Davos, Switzerland. 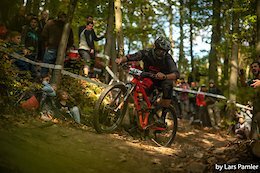 Karim Amour repeats his EWS Masters win and Portuguese rider José “Zé” Borges finishes fifth overall at the last round of the 2018 Enduro World Series. 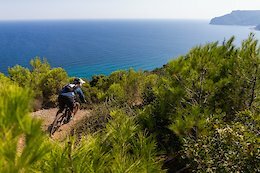 For the first time in its six-year history, the race in Finale Ligure was just one day, but there was no shortage of action across the 50km of trail and four big stages. 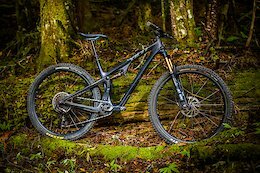 Ibis Cycles' new 1,204g carbon hardtail starts at $2,199. If Rapunzel was a mountain biker, she'd have been in heaven living in this castle. 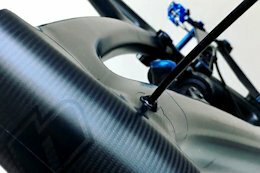 Two famous wheel designers join together to invent a new high performance carbon wheel. 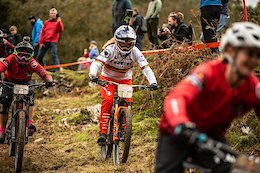 Check out all the action from this year's Red Bull Foxhunt and Rachel Atherton's first race in her brand new rainbow stripes jersey! 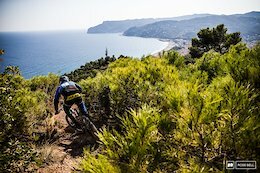 Finale Ligure marked the end of an exciting 2018 Enduro World Series with drama right from the get-go. 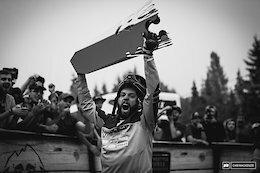 Follow the 50to01 guys to Whistler, and learn a little more about Max Nerurkar along the way. 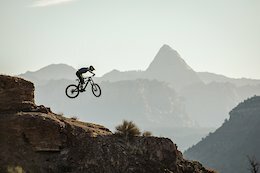 With a hat tip to Pumped BMX, how much bigger can they go? 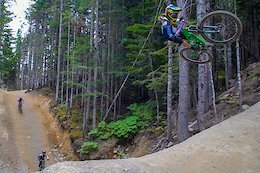 Celebrate the end of summer with this banger featuring Max McCulloch on Vancouver Island.